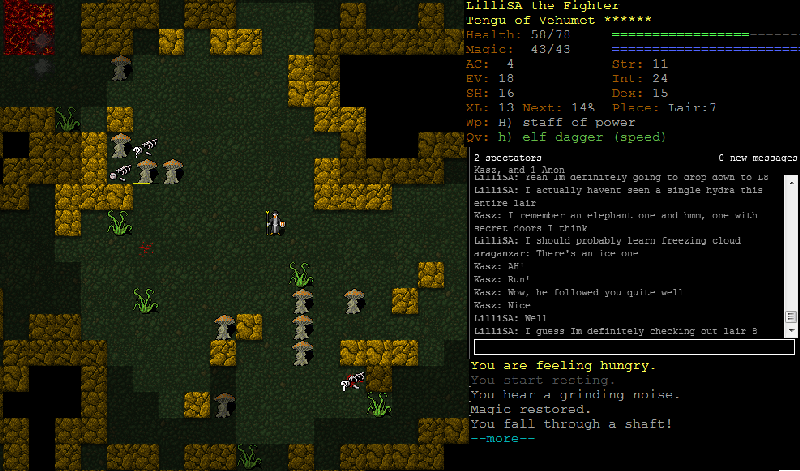 So after dying with a bunch of wanderers a few nights ago someone suggested playing a random class. I ended up getting an air elementalist and went with a Tengu (I might periodically refer to them as Kenku because I forgot they changed the name) to go along with it. It also gave me the opportunity to show off Vehumet since its a decent god for an AE. Lets start with Air Elementalist's gimmick. Or at least what used to be their major gimmick, it's been kind of nerfed for a while now. 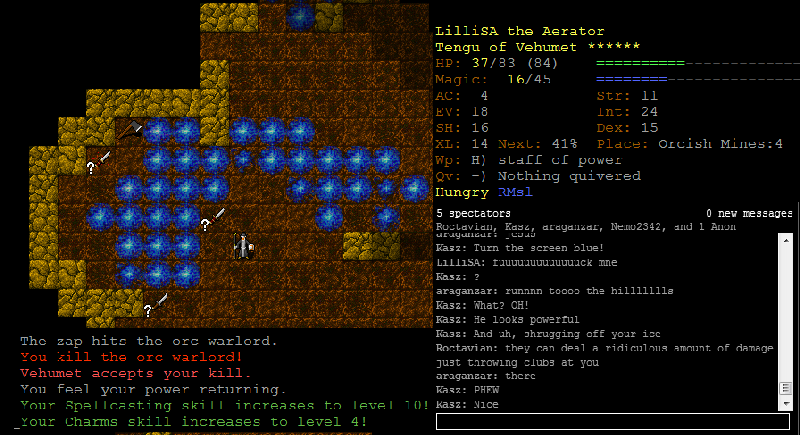 Zap, their level 1 spell, and lightning bolt, their primary nuke, can both bounce off walls. This means that with proper angling you can't hit targets multiple times to maximize the damage your lightning bolt does. Unfortunately, the maximum number of times you can hit a single enemy is twice. It used to be the case that with clever positioning you could zap someone three or even four times with a single zap or lightning bolt. However, at the same time they nerfed the number of times you could zap someone, they slightly increased the damage. I'm not entirely clear on whether the damage buff compensates entirely for the multizap nerf, but it means you get more out of zapping lines of enemies than before, so that's always nice. Regardless, taking advantage of multizap is super important for AE to survive early and midgame so its a good thing to know how to do. There's a Labyrinth somewhere on the floor. I'm kind of just running around ignoring most of the loot and any enemy that I don't have to find in order to get to the entrance before it closes. I end up finding it in time, but there is absolutely terrible loot inside, I don't think there was a single thing of worth from it. Oh right, Vehumet. Vehumet provides a lot of passive buffs to conjuration and summoning spells, including increasing the range of conjurations by 1, reducing mana cost by 1, reducing miscast rate, and restoring mana whenever you kill an enemy. Additionally they give you 3 powerful conjuration books and 3 summoning books that have excellent mid and lategame spells in them. This is the first of the conjuration books, and it gives me access to the ever wonderful freezing cloud, a spell that I fully plan on abusing the hell out of. 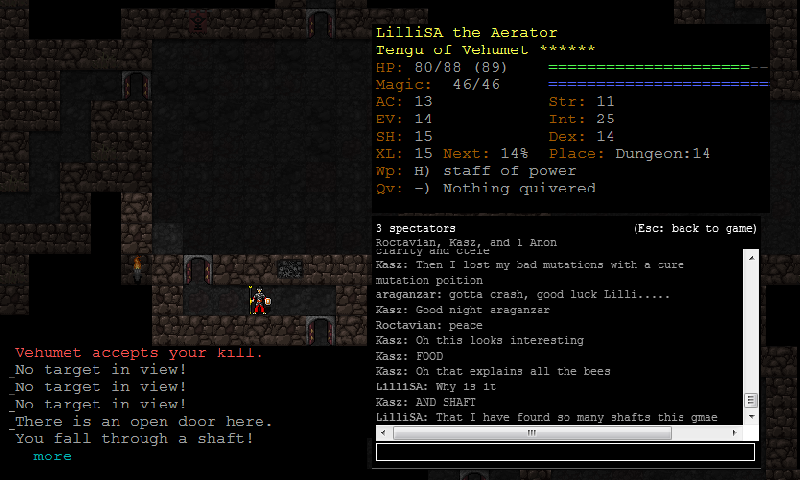 Oh good, a shaft, just what I always wanted. 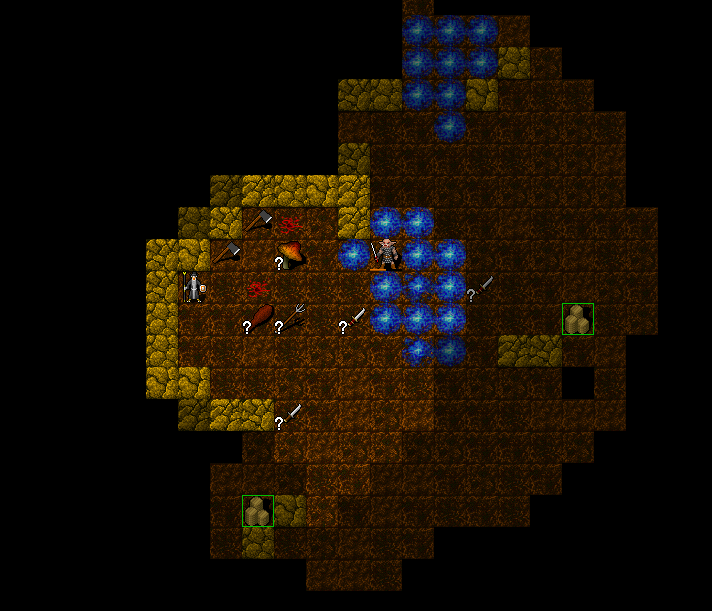 It dropped me right into the Lair 8 vault, lucky for me it wasn't one of the vaults that starts filled with enemies. 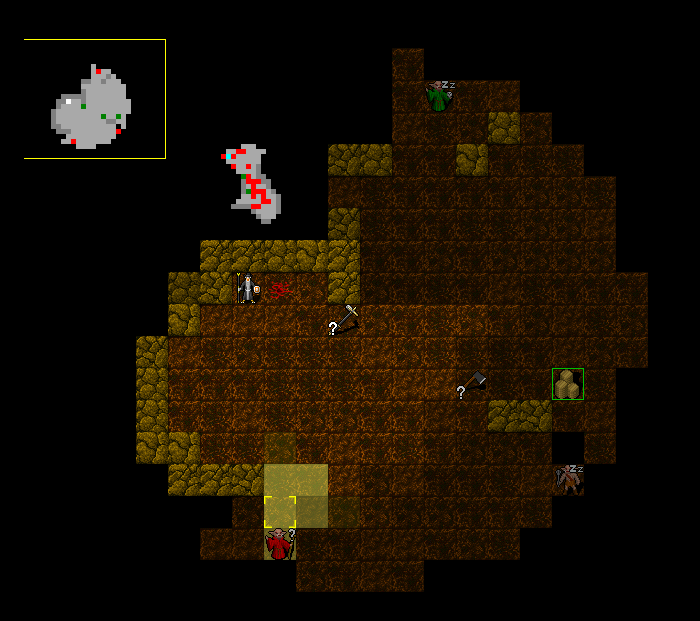 I can just walk out without triggering the monster spawns that happen in here. 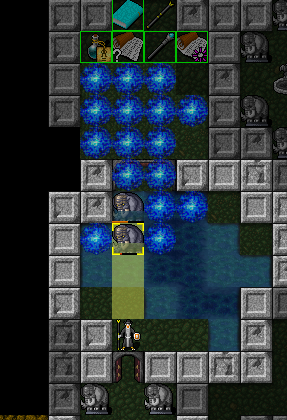 After fully clearing the level to give me the ability to teleport away if I get in danger I go to trigger the statues awakening. Behind this secret door is an anaconda that guards the door to the vault with a few pieces of treasure. 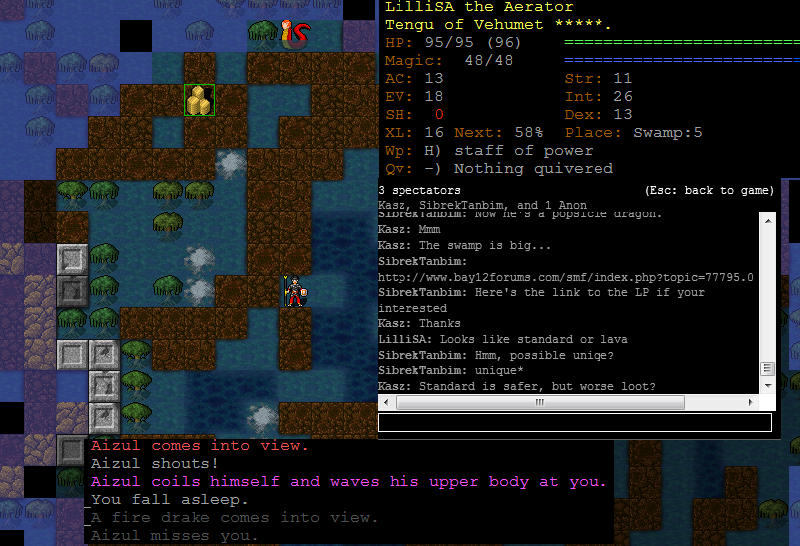 As soon as the anaconda dies a handful of statues come alive and turn into dire elephants. Anacondas are very, very fast and can constrict for massive amounts of damage. If you don't have blink you really shouldn't go in here. The anaconda can easily spell the end of an otherwise promising character, not to mention the dire elephants are dangerous too. After killing the anaconda I go back to the vault room, it has two of those dire elephants inside to guard it. However with freezing cloud and lightning bolt I can tear through them. 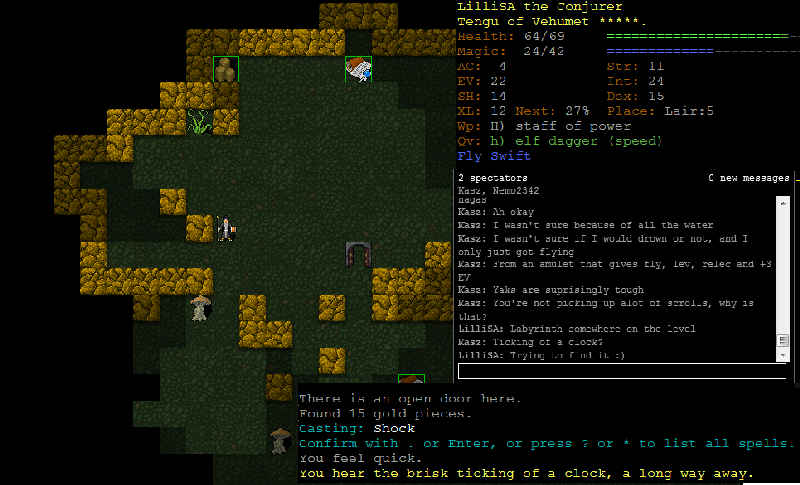 I went to clear Orc after I finished up the Lair, but I fell down a shaft to Orc 4.... and fell right into the middle of the orc fortress. 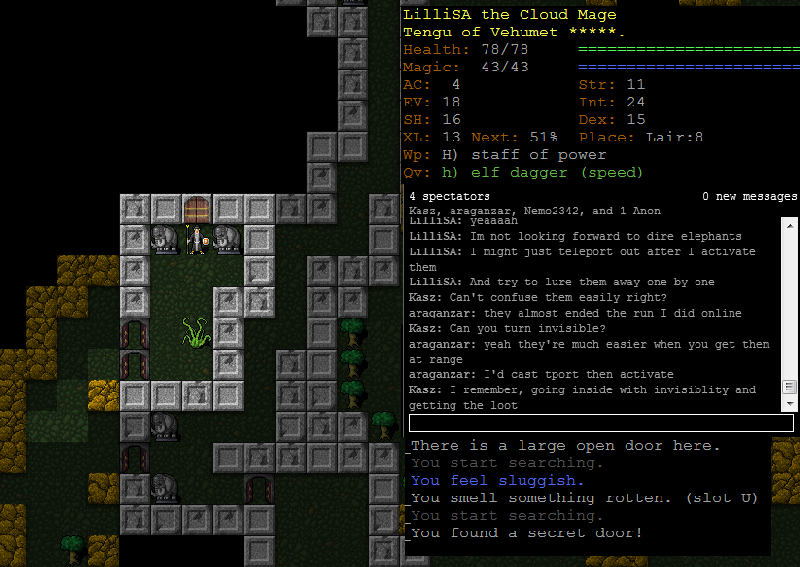 I immediately pop a teleport scroll and start dropping freezing clouds on everything in sight range and land somewhere relatively safe. However I'm not exactly far from the fortress and things start wandering outside to go explore the level since they're now awake. I don't want to pop another teleport scroll since it could easily land me right back in the middle of the fort. They just slowly keep coming along, I'm barely dealing with them all thanks to freezing cloud. 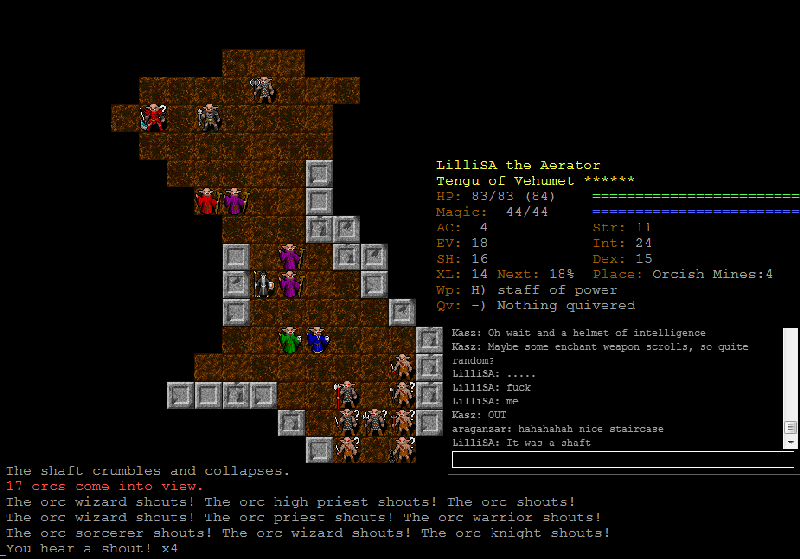 Finally the orc warlord that was inside the fort comes along. It never even spent a round in melee, it just threw clubs that were lying around on the ground at me, but it still managed to deal 50 some damage from that alone. 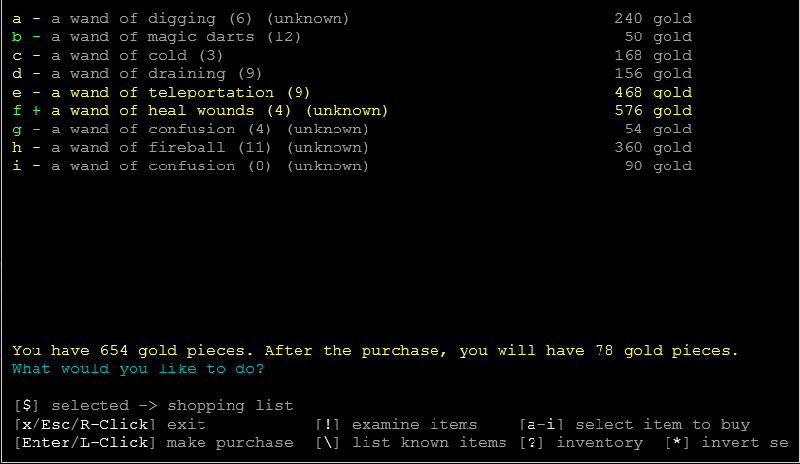 After clearing out the level I check the four guaranteed shops inside the fort. One of them has a randart ring mail. It's light enough that I can probably use it without too much trouble for my spellcasting or evasion, and I'll drop some points into armor to reduce the penalty somewhat. That and its a huge boost to what I had for AC before so I'm going to use it. I fell down two floors, but there wasn't actually much all that dangerous, but I did find a shop with a wand of heal wounds. I now have two wands of teleport, a wand of haste, and a wand of heal wounds, along with all the attack wands I could need. I'm pretty much set on consumables. I clear the dungeon until I hit level 15. 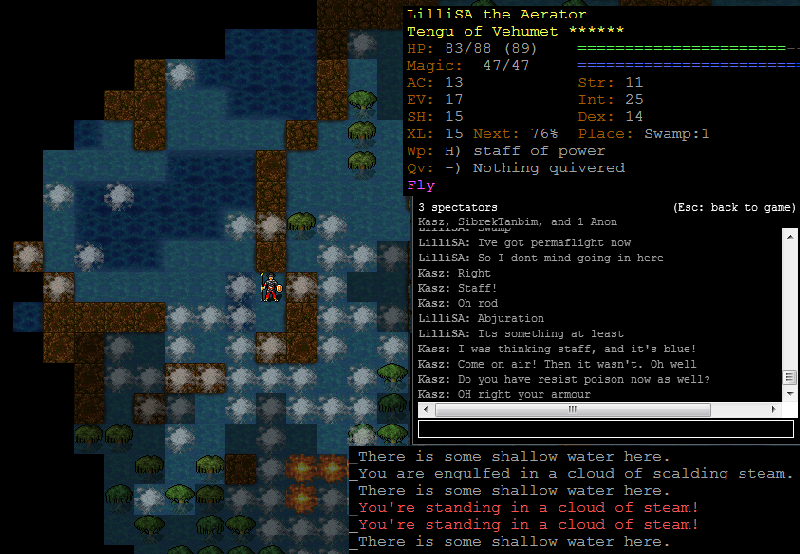 At 15 Tengu gain the ability to fly permanently, and the swamps is an awful boggy place that I pretty much hate going to if I can't swim or fly. It makes it so much more bearable to not have to worry about water penalties or getting run down by some random hydra. Swamps 1-4 are terribly uninteresting! I don't even think I saw any uniques, which is a bit strange. On Swamp 5 I read a scroll of magic mapping that I picked up somewhere in here. 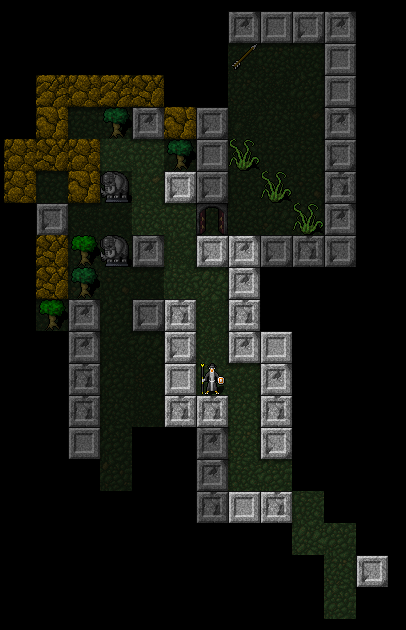 The layout of the swamp gives you a good idea of what kind of units are guarding the rune. 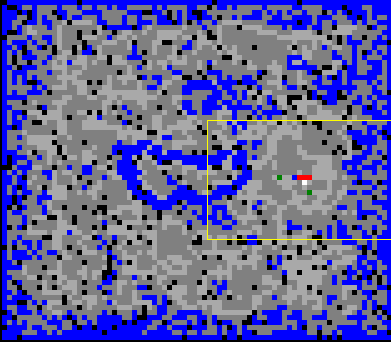 The thick blue walls in the middle is the rune chamber, since its in the center of the map it's most likely either a standard or fire based swamp (thank god its not the miasma swamp). Since I went down a set of stairs that was basically right next to the rune vault it shouldn't take long to find out! 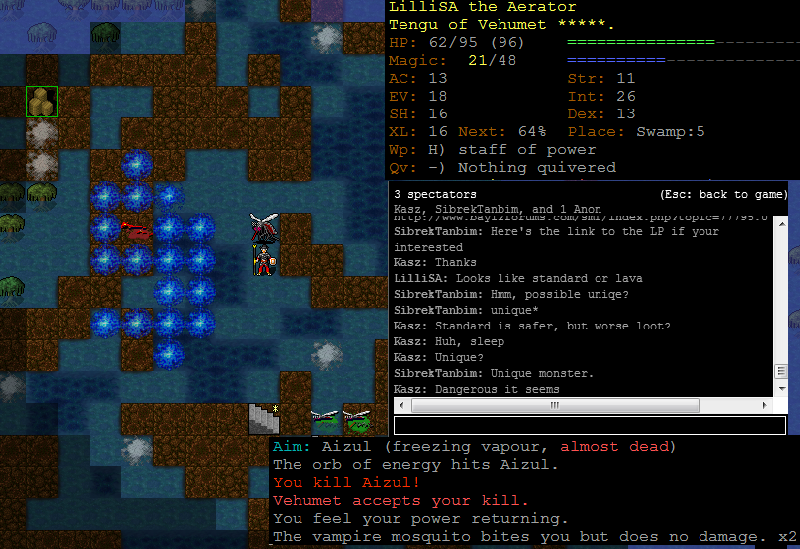 Oh good, Aizul is here too. He's an annoying unique that can cast sleep, another good game ender if you don't have any MR. Additionally he can cast poison arrow, which partially pierces poison resistance and does a decent amount of damage. 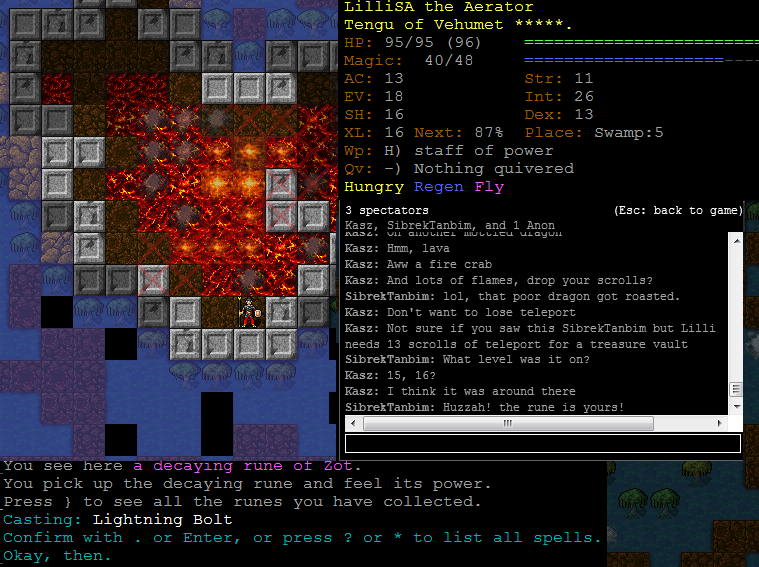 Also hes faster than you, without haste you can't outrun him, so don't bother trying, just teleport away. Luckily, freezing cloud still fixes all of my problems. 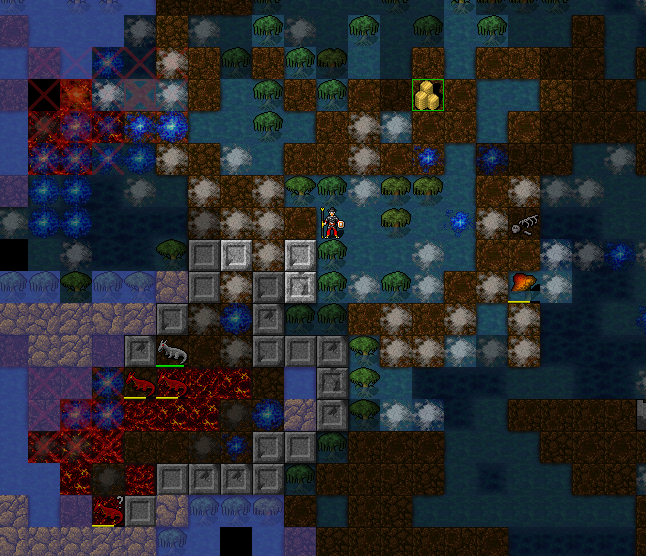 Definitely a fire based swamp, in case it wasn't obvious. Freezing cloud would be tremendously helpful here since nothing has any resistance to cold. However, the constant steam emerging from the area makes it so freezing cloud is hard to place well since clouds can't overlap. It still absolutely ruins things when I do get a nice one off. 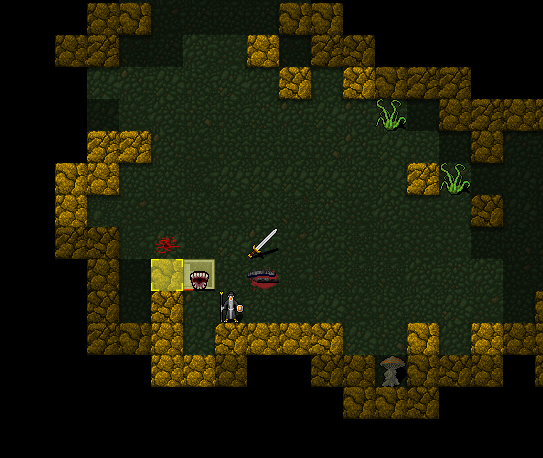 After continuing to lure guys out of the area I eventually clear it out fully and grab the swamp rune. I think I have snake pits for my other lair branch and could probably clear out at least snake 1-4 (and probably snake 5 too, but snake 5 with constriction is always so painful). 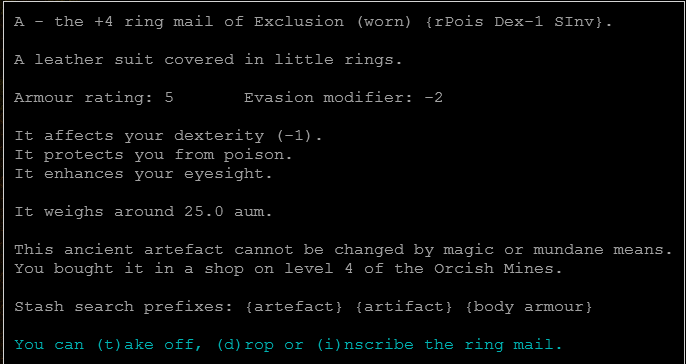 Or I could go clear Elf/Vaults 1-7 for exp, they shouldn't be too much trouble at this point. Edit: Ugh, sorry about the terrible and inconsistent quality, I will remember to reduce my screen size before continuing this. Since my plans for tonight ended up falling through I'll probably be continuing this run tonight around 9:30 if anyone is interested in seeing me (hopefully) grab some more runes with an AE.